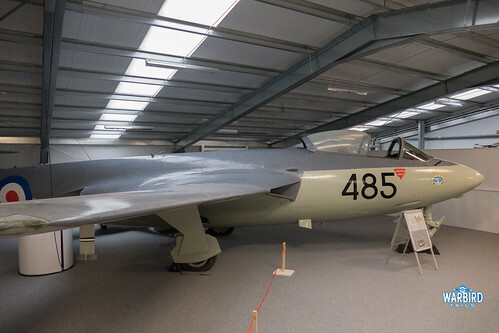 Re-opening its doors to the public for the first time in 2016, the first year with a purpose built hangar in place, was the unique collection of aircraft that makes up the Gatwick Aviation Museum. 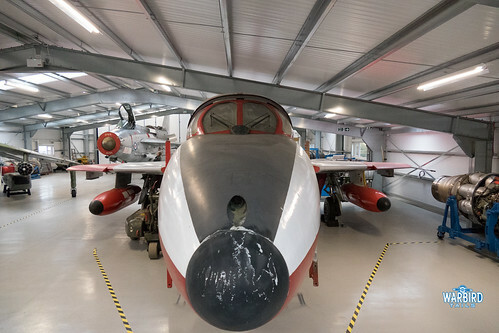 The past few months have seen huge efforts go into the building and subsequent preparations of the new building as well as the careful arrangement of the aircraft into space. 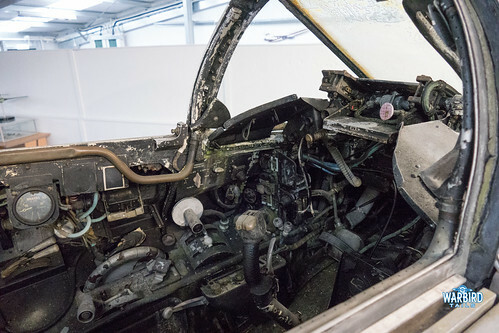 I’ve watched the museum’s Facebook page with interest over the past few weeks and months as their collection, which I hadn’t seen in person for many years was placed undercover for the first time. The new building is a well executed piece of engineering, though an odd looking shape at first. 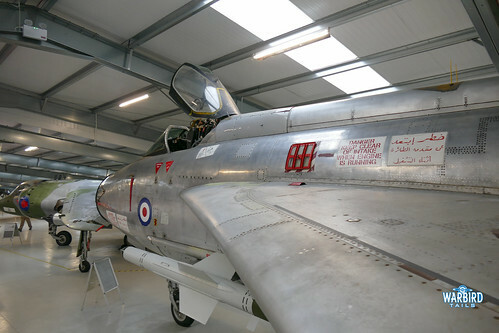 I understand only a certain volume of space was granted, which results in the hangar roof having three distinct steps, with the last allowing space for the tallest aircraft to take up residence – English Electric Lightning F.53 “53-671” an ex Saudi Air Force machine currently having it’s RAF Ferry markings removed as part of ongoing restoration work. Walking into the new museum building you are greeted by a display detailing the history of Gatwick as an international airport with plenty of artefacts on show from numerous airlines and operators that have called the airport home over the decades. 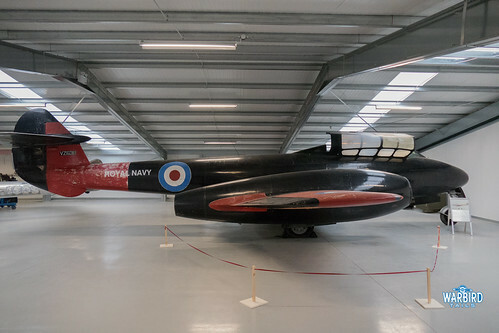 Behind this display is a sight I never thought I’d see, a Hawker Sea Hawk on carpet! 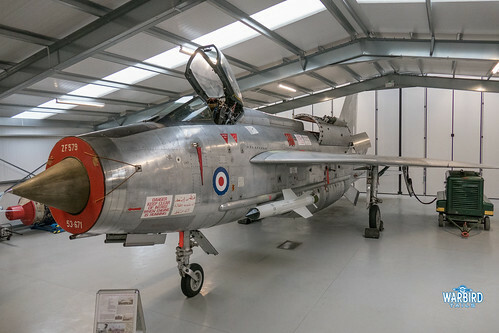 This classic early jet is displayed in its own space near the entrance with a wall separating it from the rest of the museum. 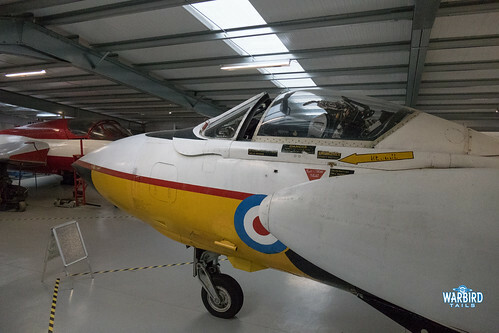 Access to the Sea Hawk, as with all the other aircraft in the collection was superb with some unrivalled views of all of the aircraft. 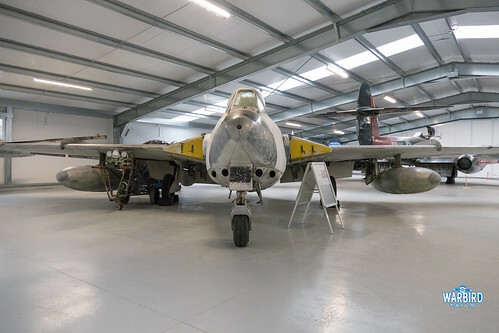 Walking into the main section of the hangar is simply overwhelming with unhindered access to a Royal Navy Gloster Meteor, Target Tug Sea Vixen, Swiss de Havilland Venom, Hunter T7, Harrier GR3 and the star of the show for me, the aforementioned Lightning. 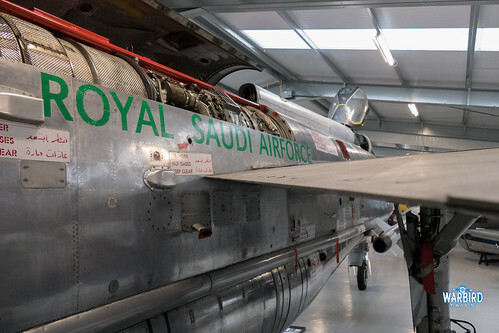 I could easily spend and no doubt will in the future spend an entire day walking around these classic jets and taking in every detail that is on display. 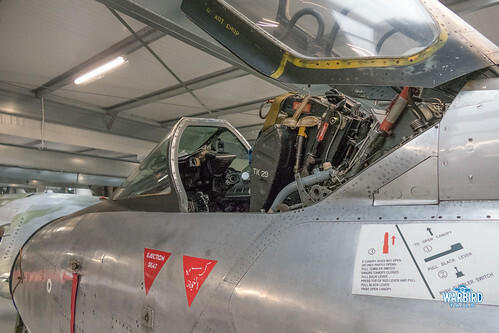 Alongside the aircraft themselves there is an extensive collection or aero-engines, displayed alongside the aircraft they powered where appropriate as well as a number of ejection seats. 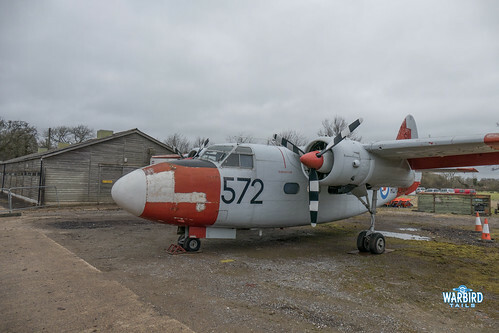 The rare aircraft continue outside, with a number of the collection still living outside for the time being. 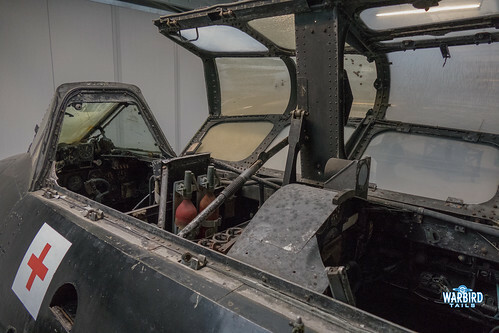 Tours were available on the Museum’s Avro Shackleton including cockpit viewing, which were very popular on the day of my visit. 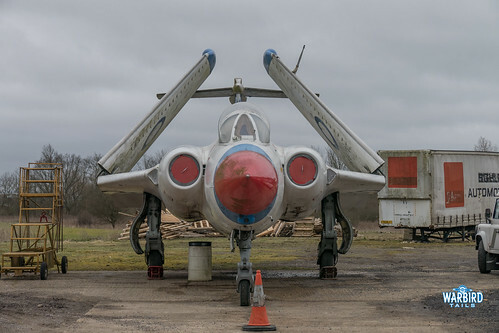 There is also access to a Percival Sea Prince, Blackburn Buccaneer and a single seat Hunter. 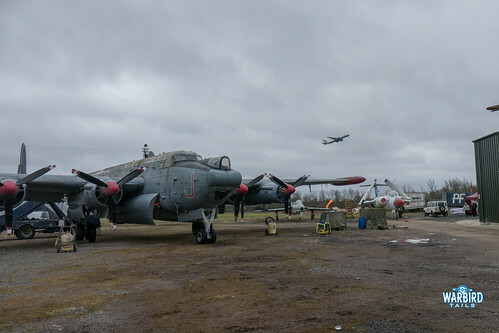 All of the aircraft outside have the slightly surreal backdrop of the airliners departing Gatwick which is only a short distance from the museum site. This makes for some interesting photo opportunities alongside the outside exhibits. As I’m sure you can tell from the above my first visit to the revamped museum was a wonderful experience and I am already looking forward to returning. 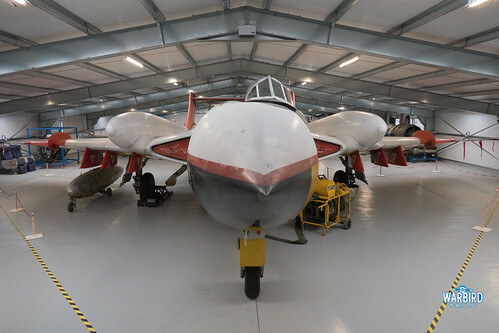 Especially as the museum plan to restore all of their aircraft back to running condition in due course. Well worth a visit.